It’s my great honor to be here to celebrate Millie’s incredible and near-infinite amount of impact on the world and scientific society. So today, I thought, as a tribute to her, we should talk about some of the interesting things that she might have liked to do next or some of the exciting things that are ongoing. But, before I do that, I would just like to show you the picture I took with Millie, the last time I saw her. 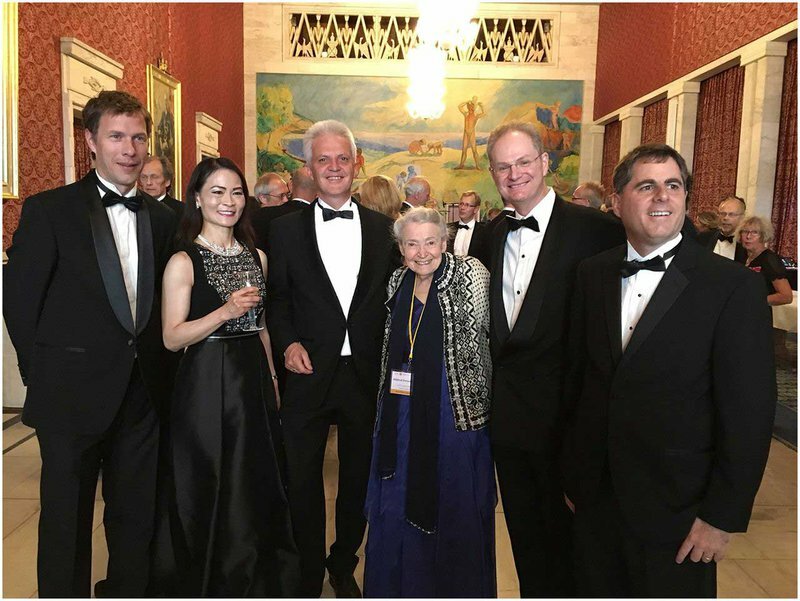 That was in 2016, when we were at the Kavli Prize ceremony in Oslo, Norway. I can tell you a lot of things about Millie. 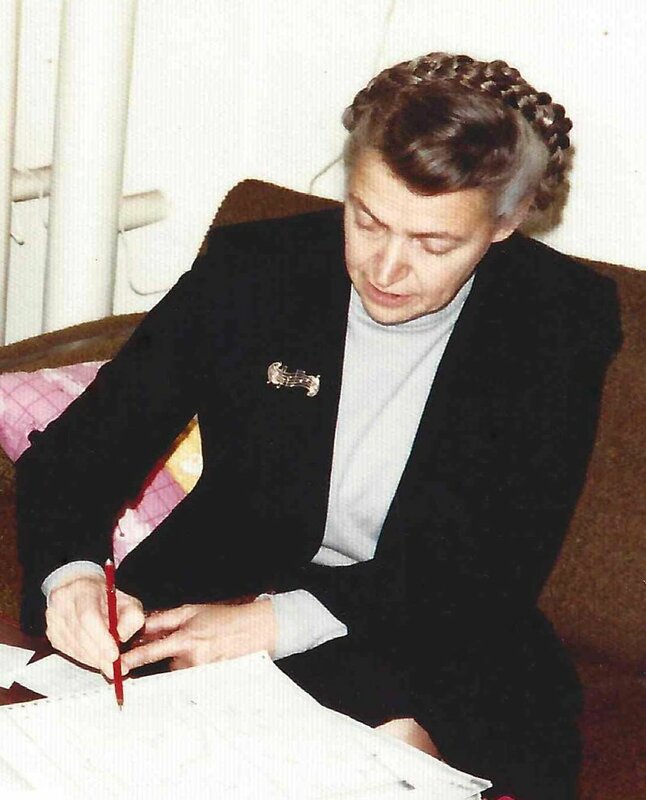 She was my Ph.D. advisor, which meant she had a huge impact on my life — as you might expect. I also wrote an article — actually, I wrote two articles — as my tributes to Millie. One was published with ACS nano, and that one gives a general overview of Millie’s life. The other article I wrote centered more around my personal interactions with Millie, and that was published in the Proceedings of National Academy of Sciences. Those are hyperlinked, so you can click on them and read them, and perhaps gain a little more insight. 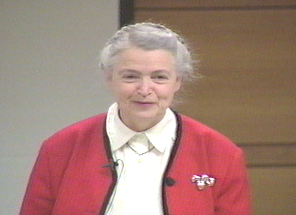 Millie was a very caring and thoughtful mentor, who seemed to understand the potential of her students far better than the students themselves: You may be aware that high-temperature superconductivity was discovered in 1986, which stimulated immense excitement worldwide in the research of superconductivity for the following decades. 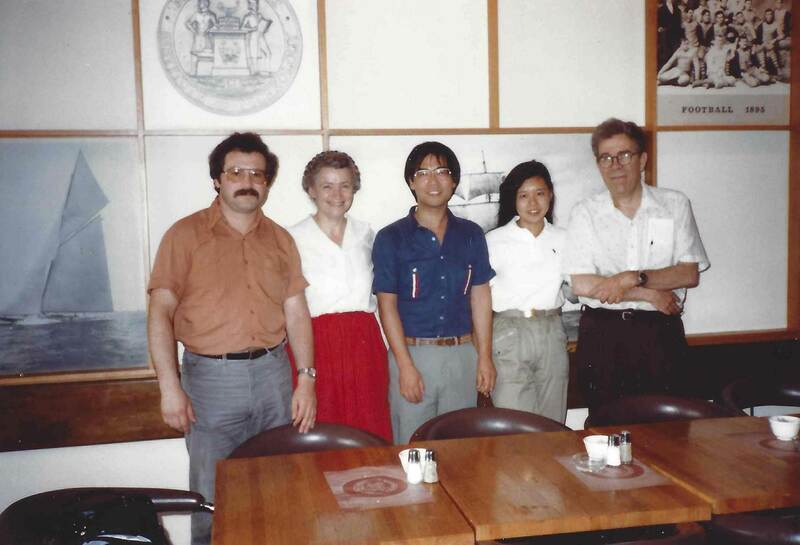 During the 1987 March Meeting of the American Physical Society (APS) in New York City, which was nicknamed the Woodstock of Superconductivity at a later time, there were thousands of enthusiastic participants attending several all-night sessions to find out the latest developments in the budding research field, and I was one of them when I was in my last year of Ph.D. research at MIT under Millie. 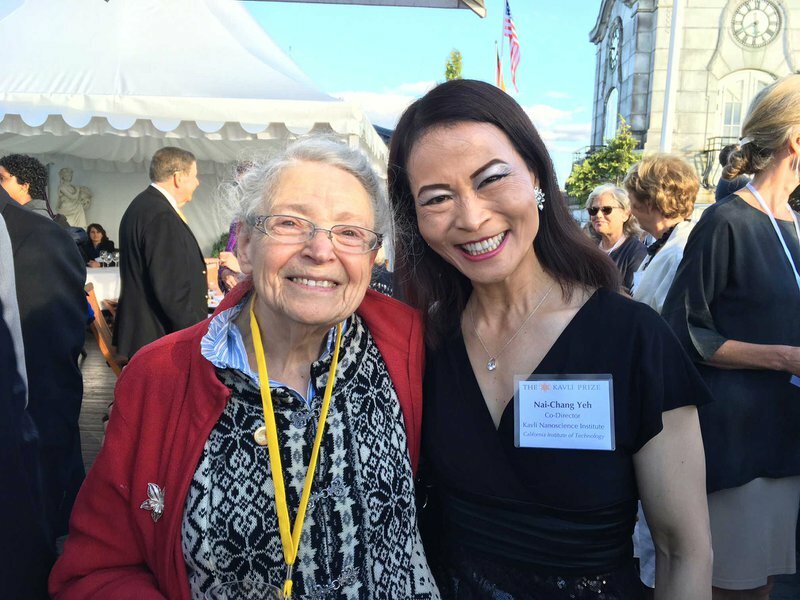 I remembered that I met with Millie one day, shortly after we returned to MIT from the APS March Meeting, to discuss my research progress on graphite intercalation compounds. During our discussion, Millie suddenly paused briefly, changing the subject and saying: “I think you will do very well in the research of high-temperature superconductivity”. I was a bit surprised by the off-subject remark, but did not think very much about it then because I had to concentrate on completing my thesis. Several months later, Millie told me that there was a postdoctoral position available at the IBM Watson Research Center on high-temperature superconductivity, and suggested that I went for a job interview. I did, and was given the offer on the same day of the interview. Millie then suggested that it was a nice fit for me so that I need not go for any other job interviews. Therefore, I concentrated on finishing my Ph.D. thesis and then went to IBM for my postdoctoral studies shortly after my graduation from MIT. Although the field of high-temperature superconductivity was very different from my graduate research at MIT, it was very exciting and full of opportunities, and so I was able to be recognized for my work in a relatively short period of time and received multiple faculty offers. 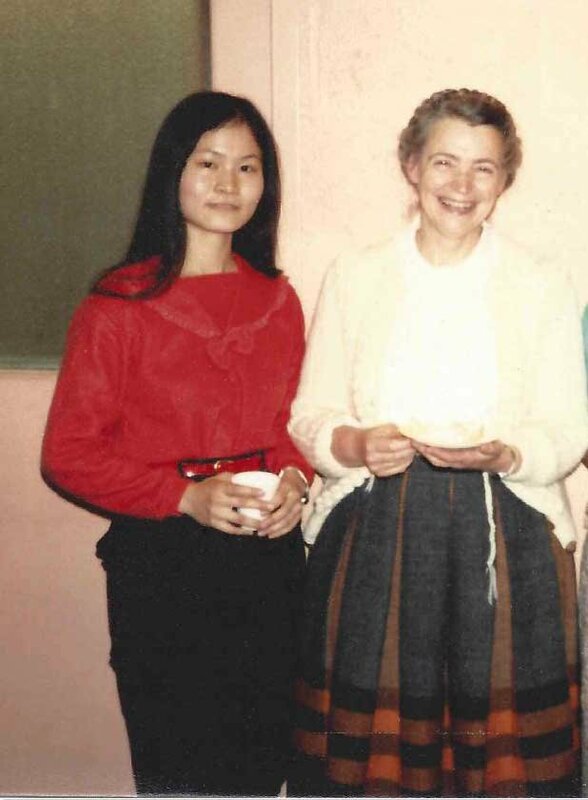 When I joined the faculty of Caltech in 1989, my initial research program was primarily focused on high-temperature superconductivity, and was tenured based on the achievements in the field. 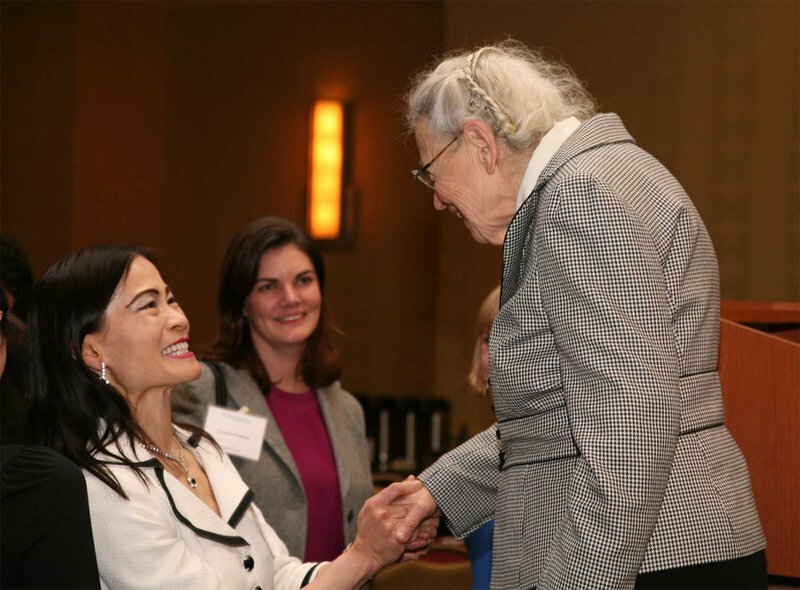 In retrospect, I was impressed by Millie’s foresight and her confidence in me, and am truly grateful for the amazing guidance that she provided in her most unassuming manner. This is what I did to come up with the topics presented today. Hopefully, you will also feel excited and inspired by them. First, a summary of the topics I’m about to cover. I will start by proposing that I think there is a new material frontier where quantum meets nano and low dimensionality — and I will elaborate on that in a moment. Next, I will discuss all the different things we can do if we manipulate different quantum degrees of freedom — such as symmetry, topology, spin, valley, dimensionality, and so on. I will show you a few examples of that. 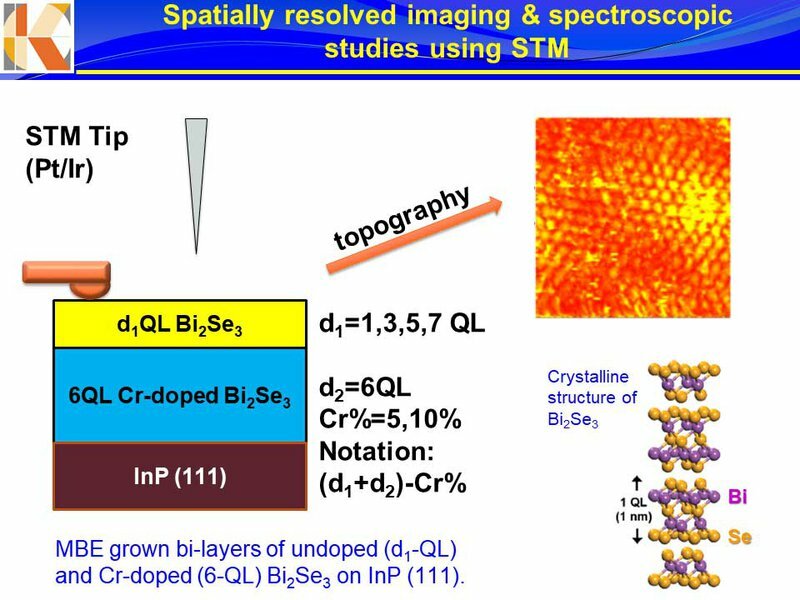 Then, I will discuss 2D atomic crystals and their increasing popularity due to new developments in making such crystals from van der Waals materials. By the way, you’ll probably notice that throughout the symposium thus far, the topics I’m discussing have come up from time to time. 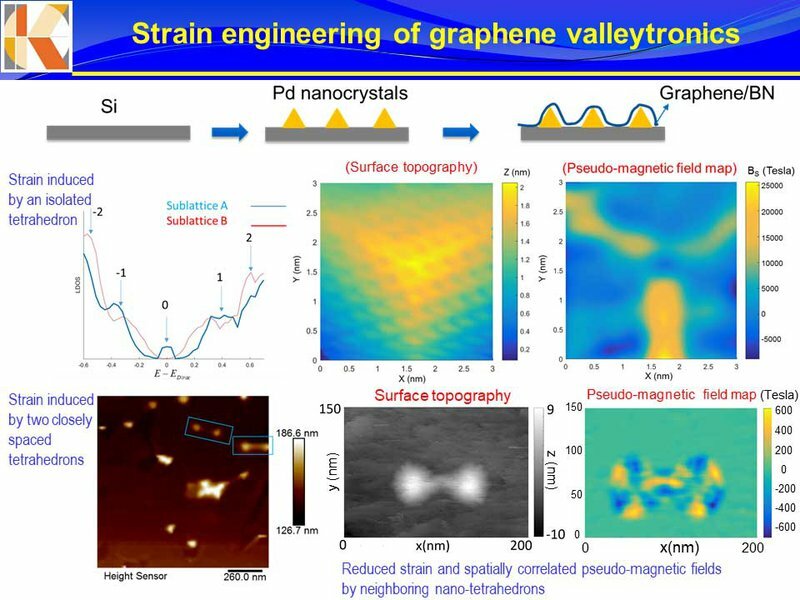 Then I will talk about strain engineering and valleytronics and how we might use this to build new properties into (for example) graphene. 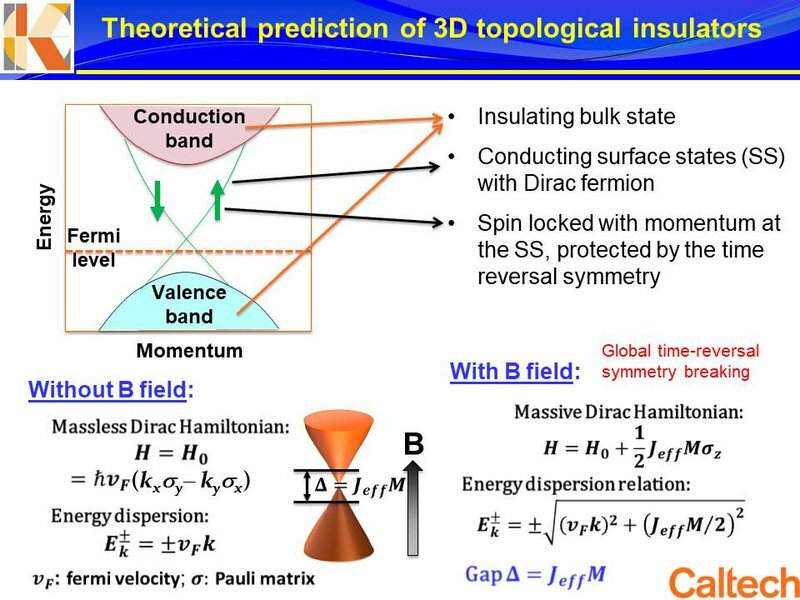 And then, I’ll show you some of the research we are doing on surface and interface states of topological materials, and I have some examples. 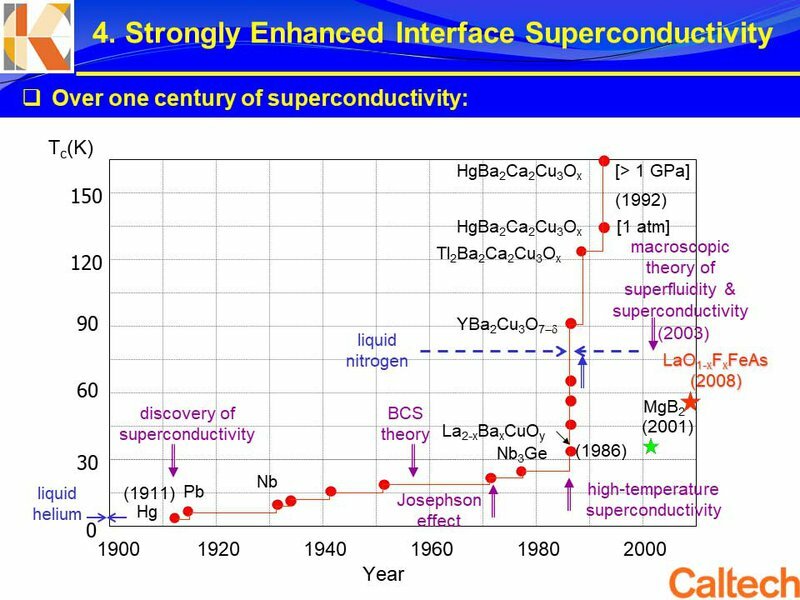 There is also an exciting development in superconductivity related to interface superconductivity that you can use to enhance the superconducting transition temperature by a factor of nearly 10. So we want to explore what might be happening. And that is the talk. Hopefully, by the time I’m done, all these new topics will soak into your imagination, allowing you to dream of all the many things that are now possible, thanks to these recent discoveries. 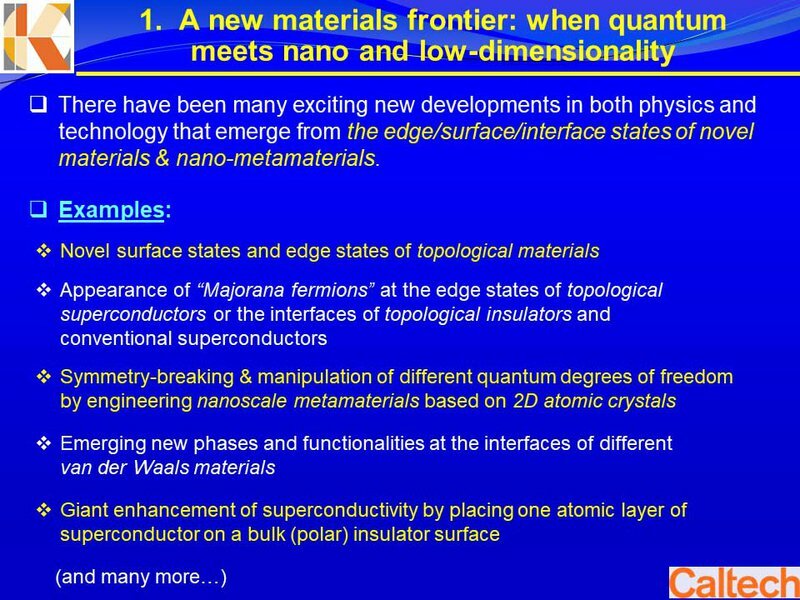 As I mentioned earlier, I believe that we’re at a new materials frontier in which quantum meets nano and low dimensionality. As we go smaller and smaller and are able to increasingly manipulate the dimensions we’re working with — it changes things in many ways. It allows engineers the ability to build devices that’ll solve the next generation of problems. It’ll create new applications that we haven’t even dreamed of yet. And it’ll cause a lot more people to view materials research as a fundamental part of the R&D needed to create mass-marketed industrial products. 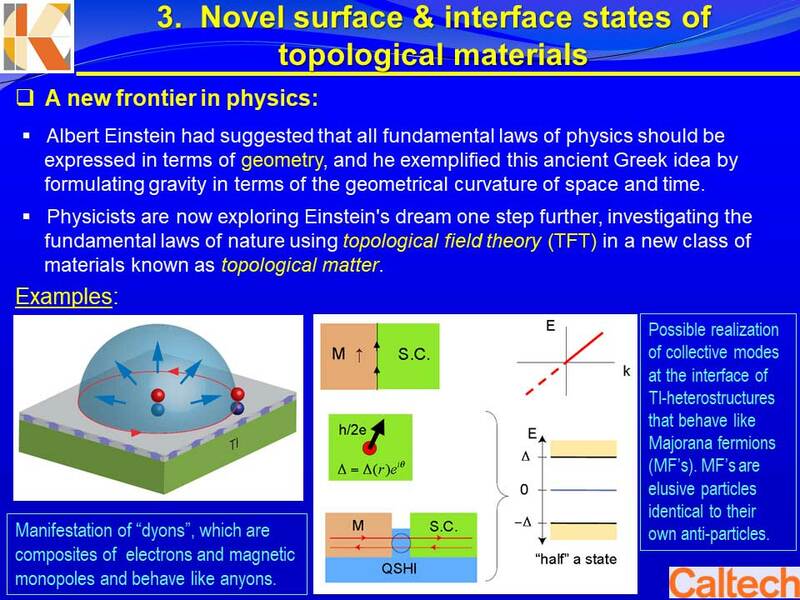 Emerging physics pertaining to edge, surface and interface states of novel materials and nano-metamaterials will give us the ability to almost play God! A proper understanding of this physics will allow us to build our own custom-chosen properties into the materials we’re starting with — giving us the ability to create the perfect material for any given application. There is a lot of interesting new physics coming from our studies of these novel states. The remainder of my talk will give you some examples. 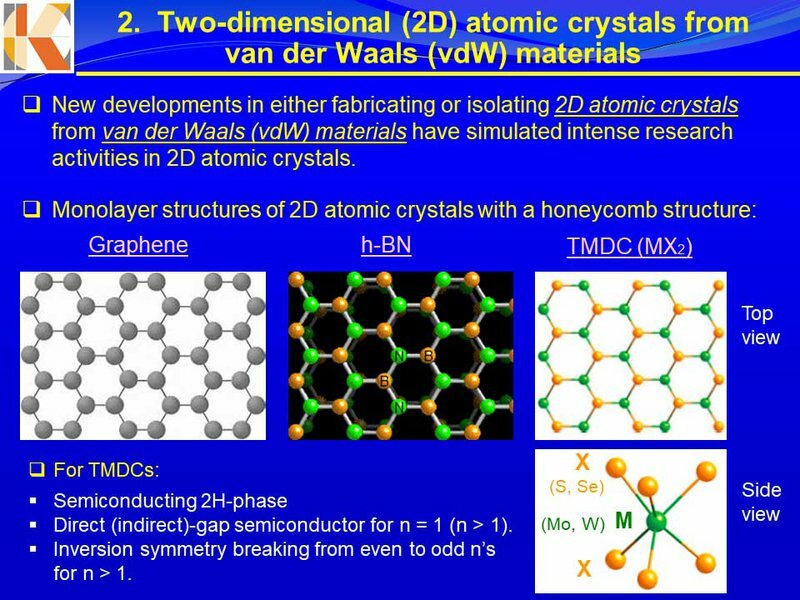 Let’s first start by looking at some 2D atomic crystals from van der Waals materials. There are new developments that allow us to either fabricate or isolate 2D crystals from various types of van der Waals materials, and lots of research efforts have gone into it — and for good reasons! You can look at materials like graphene and hexagonal boron nitride as examples — these materials have honeycomb structures. Now, transition-metal dichalcogenides, when it’s in a special phase — called the 2H phase — is actually a semiconductor. If you look at it from the top, it also looks like it has a honeycomb structure. However, if you look at it from the side, you’ll notice there are 3 layers. I remember that earlier today, there was a question from the audience asking if people are looking to making nanotubes out of other types of materials. I think it will be much harder to do so than it is with carbon, because of what you see in the figure above. If you try to fold 3 layers together, it’s much harder to make the connection of different layers consisting of different elements , and so one would have to be much cleverer because the strain for each layer will be very different. That may cause problems when you’re trying to fold this material up into a tube. Anyway, back to the transition-metal dichalcogenides — the number of layers you have of it will also give you different properties. If you have one mono-layer, then it’s a direct gap material (a direct-gap semiconductor) and if you have greater than one, it’s an indirect gap semiconductor — and even then, it depends on whether you have an even or odd number of layers; you can break the inversion symmetry. So those are interesting possibilities and interesting structures! Let’s look at them a little more. Graphene is a 2D semimetal, as all of you know. Hexagonal boron nitride is a very wide bandgap insulator. Transition-metal dichalcogenides — well, if you look at the special case of the 2H phase — it’s a 2D semiconductor. 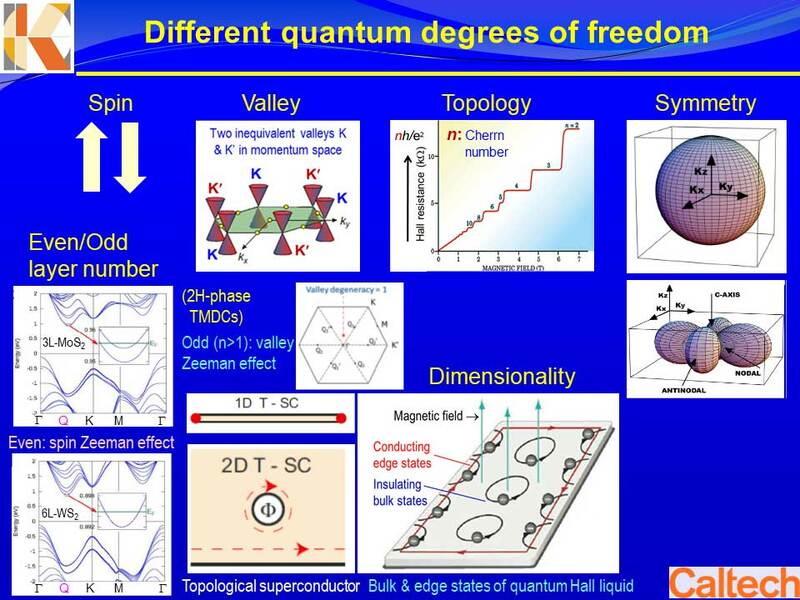 All three of these materials have interesting “valley” degrees of freedom, in addition to the charge and spin degrees of freedom. 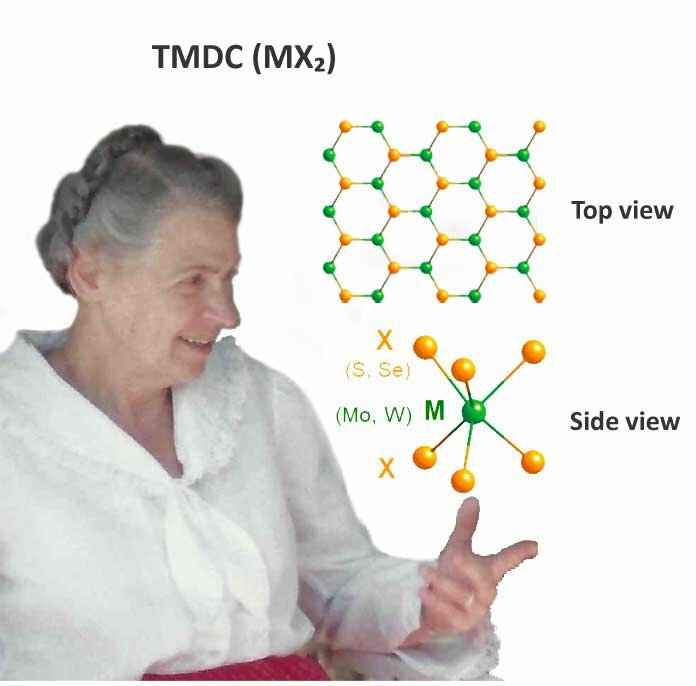 In particular, in transition-metal dichalcogenides, if you analyze the monolayer, you’ll find it has two interesting properties: first, it has an interesting direct bandgap, and second, the K and K' are located in different valleys, and the spin degrees of freedom will actually flip as the result of very strong spin-valley coupling, and that makes it very exciting for a lot of potential optoelectronic, optospintronic, optovalleytronic applications. This is an example of a material that that you can grow using chemical vapor deposition. It’s a large grain single crystal, and it looks very pretty. I’ll talk about hexagonal boron nitride, next. I’m not going to talk about graphene, because everybody here knows about it — although I will mention that in graphene, you have K and K' valley and this is gapless. By contrast, hexagonal boron nitride is a parabolic material. The in-plane dielectric constants is positive. Out-of-plane is negative. This is a natural thing in the three dimensional limit. It’s a very interesting waveguide. Now, you can start putting all those things together and start imagining what may be happening. There’s one interesting thing about “valley degrees of freedom.” I don’t have time to go into details, but I’ll just give you a general idea. Traditionally, solid state physics textbooks tell you that the derivative of the dispersion relation of energy relative to momentum will give you the velocity of electrons in the solid. But the reality is that, sometimes, you have very interesting Berry connections related to your Bloch electrons. You can have non-trivial “pseudo magnetic field”, a non-trivial Berry curvature due to the Berry connection. 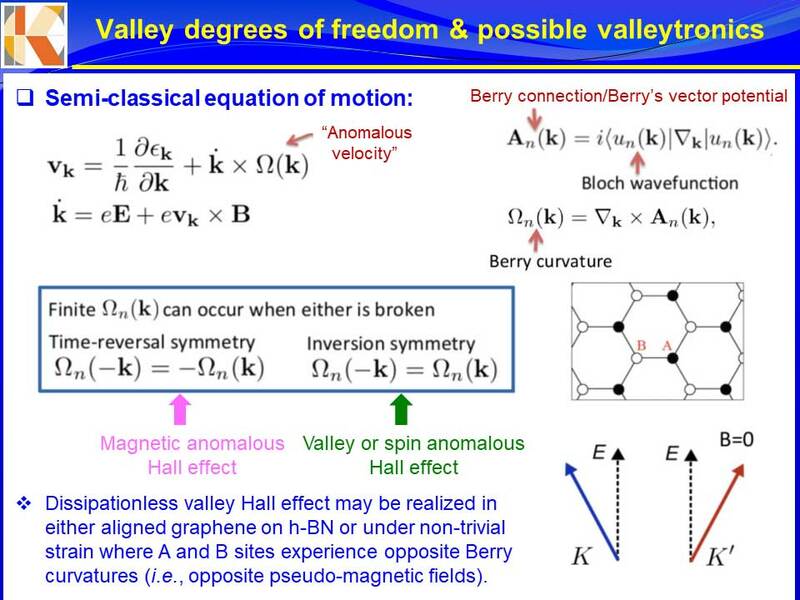 So, if you have this interesting valley degrees of freedom and you have non-trivial Berry curvature, you can actually break the inversion symmetry to lift the valley degrees of freedom, which means this would give rise to a valley Hall effect, even in the absence of an external magnetic field. So that’s an interesting degrees of freedom thing that one can start thinking about playing with. I’m going to show you an example of how you actually can use nano-metamaterials on something like graphene. Supposedly, the two valleys are degenerate. Now, if you want to do valleytronics, you want to separate them. In principle, you can play with nanostructures and then try to make things work. It has been predicted theoretically, for instance, that — graphene has these two different sublattices, but if you strain them differently, with non-trivial strain, then you would create special Berry curvature and generate pseudo magnetic fields. So, for one sublattice, the field can be up. For the other sublattice, the field can be down. Overall, you don’t break global time reversal symmetry; you actually have a total flux of 0. But you can break the local time reversal symmetry so the electronic states would actually show peaks in the density of states versus energy measurements. They would show quantized Landau levels as the result of pseudo magnetic fields. So this was a prediction — a theory — and to maximize this kind of effect, naturally, you would think you should try to build nanostructures of this nice, small nanostructure tetrahedron. 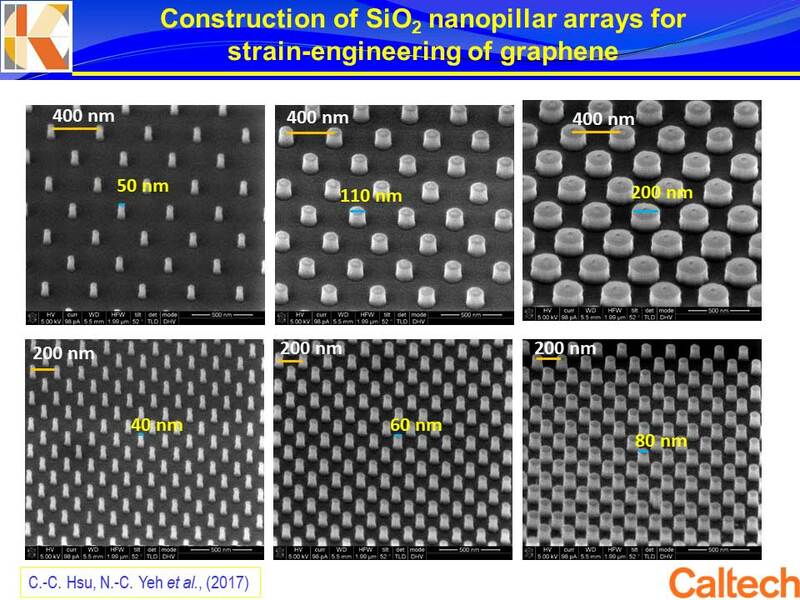 In other words, we found a very interesting kind of material and we would like to try to create these single crystals and then put graphene on top and see what happens — in order to maximize the nanoscale strain effect. 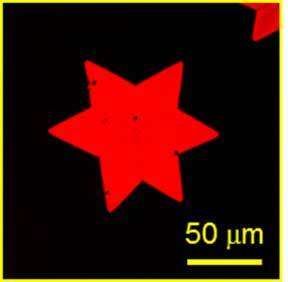 So we take a piece of silicon, we put these palladium nanocrystals on them. Then we put a monolayer of hexagonal boron nitride — which we grow, ourselves — and that monolayer exists specifically to isolate the next layer we want to put on, which is graphene (on top of the boron nitride). By the way, we used room temperature PECVD techniques to grow graphene without active heating, which resulted in single crystalline like large sheets without any discernible strain. So we can put strain-free graphene on top of our deliberately created nanostructure and see what happens! This is what happens. If you look at the bottom of the slide above, that was taken with an SEM image. And beside it (on the bottom left of the slide) is an AFM image. You can see those nanostructures with a layer a boron nitride and then a layer of graphene on top. Now, if we take that structure and zoom in using a scanning tunneling microscope, you can see very sharp features (the color coding indicates the distortion, the topography). Now, you can use this topography to figure out exactly what kind of pseudo-fields are being created. And, lo and behold, look at this! Tens of thousands of Tesla, local magnetic field. And then, of course, you see two different colors that correspond to both positive and negative magnetic fields. If you integrate this magnetic field distribution out, the total magnetic flux is zero. But you can now imagine this kind of strong field will have dramatic effects on graphene electronic properties. Indeed, with this kind of effect, what we have found is that you would have Landau levels appearing, and then you would have two types of local, highly strained areas. Depending on the strain value, you will have different energy separations. The larger the strain is, the larger energy separation you will find. You do indeed get these quantized Landau levels. Also, you see symmetry breaking. Sometimes, you see a spectrum with zero bias conduction, and sometimes you don’t. That’s spontaneous local time reversal symmetry breaking and chiral symmetry breaking. That means you separate out the two valleys. That’s a very interesting thing! It means that, with strain, you can play with the valley degrees of freedom. The interesting thing is, if I put two of these sharp tetrahedrons very close together and only then look at the corresponding pseudo magnetic field, the situation becomes very different. You start seeing the pseudo magnetic field displaying very interesting patterns. Also, the net field is reduced, because there are more relaxed features. Now we can start thinking about how we might want to play with it. This is how we can compute the pseudo magnetic fields by using the atomic structures of the strain, and we can also measure the pseudo magnetic fields directly. One quick thing I should mention is that we can also compute these things theoretically and make comparisons. 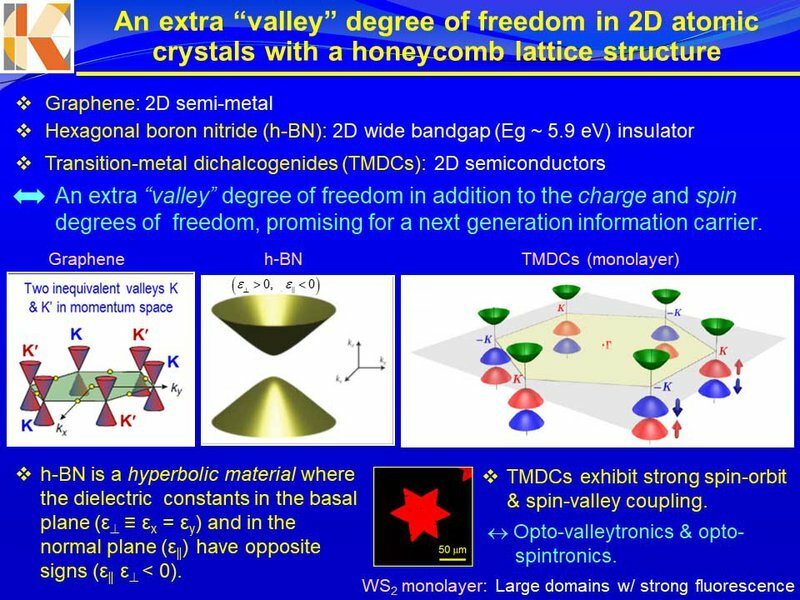 One prediction is that, if you truly break the valley degrees of freedom, you will have valley polarization, and then half of the spectrum should show zero bias conductance peak, and the other half should not. And, indeed, we have found that, statistically, over the strain area, the histogram of those with zero bias and those without zero bias is almost 50% each. Therefore, the theoretical prediction is true and valley polarization is almost complete. 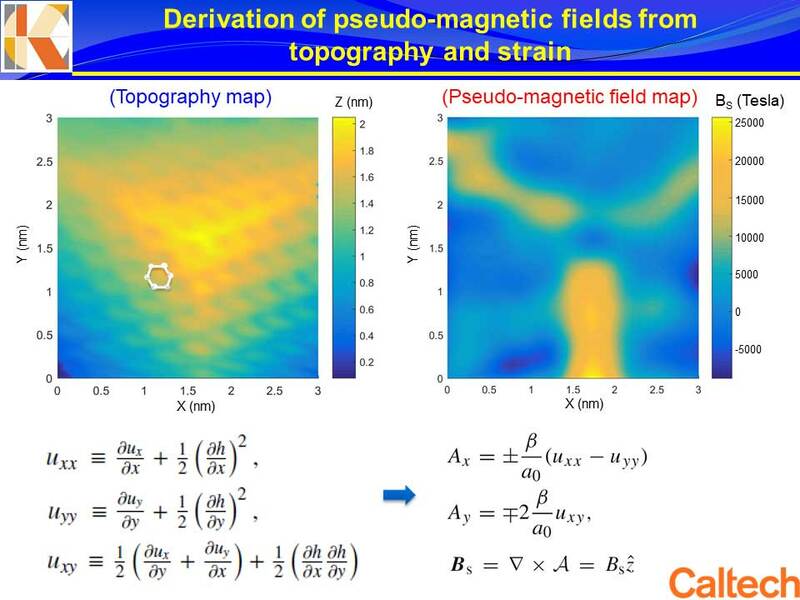 The top left graph is the graphene topography on two tetrahedrons, and the left bottom graph is the corresponding pseudo magnetic field distribution. 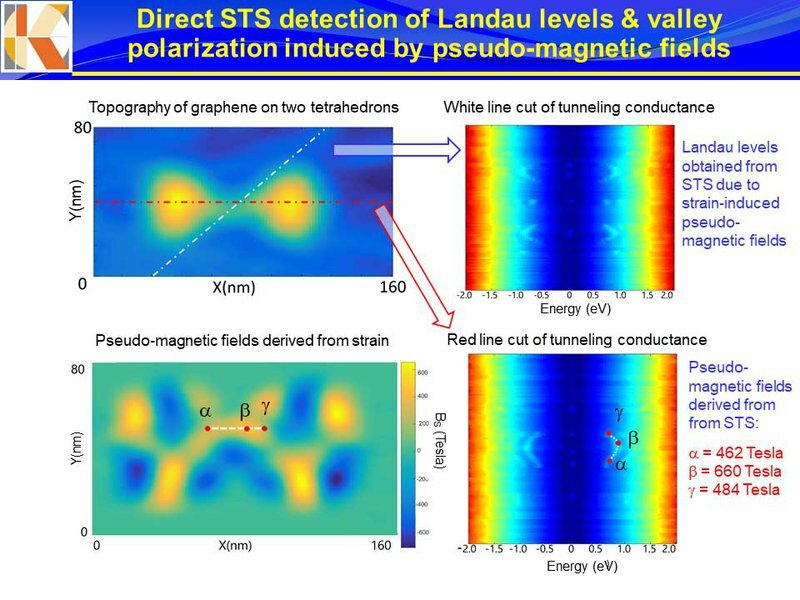 We can take different line cuts and color-code the conductance as exemplified by the top and bottom graphs on the right, which allows us to start seeing these peak features that are associated with different Landau levels. Then, we can look at the exact Landau level separation to know what the pseudo-field is, or we can make a comparison with the topography map and then see what the corresponding pseudo field may be. We did both of these methods and found they are in a few percentage points of agreement. So this is all great! Theoretically, we have computed molecular dynamics. We find that one tetrahedron is a good valley splitter, whereas you can start connecting different tetrahedrons along the zigzag directions, and that allows you to begin creating a valley propagator. That’s the idea that we would like to pursue. In order to do that, however, you have to go from nanoscale to mesoscopic scale. 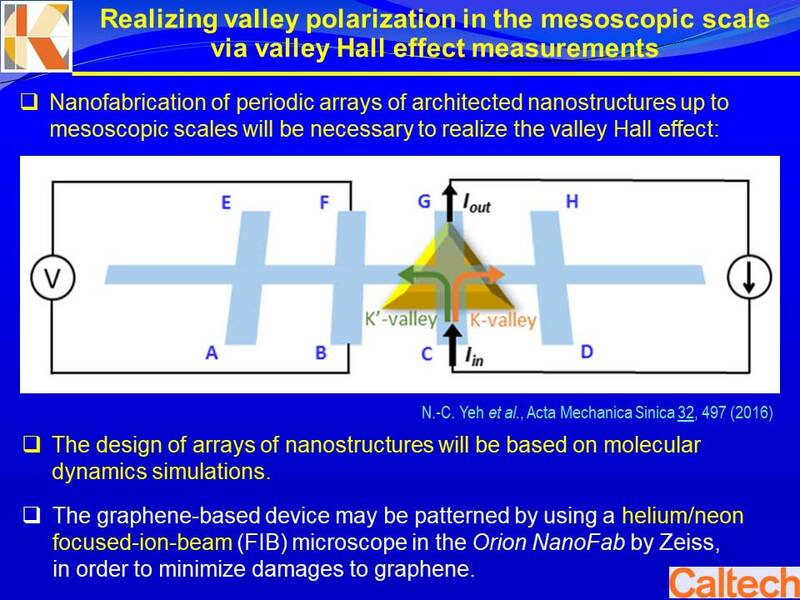 Therefore, we are building these periodic structures and trying to look at these properties in real mesoscopic scale and so we can attempt to do — for example — valley Hall effect measurements. 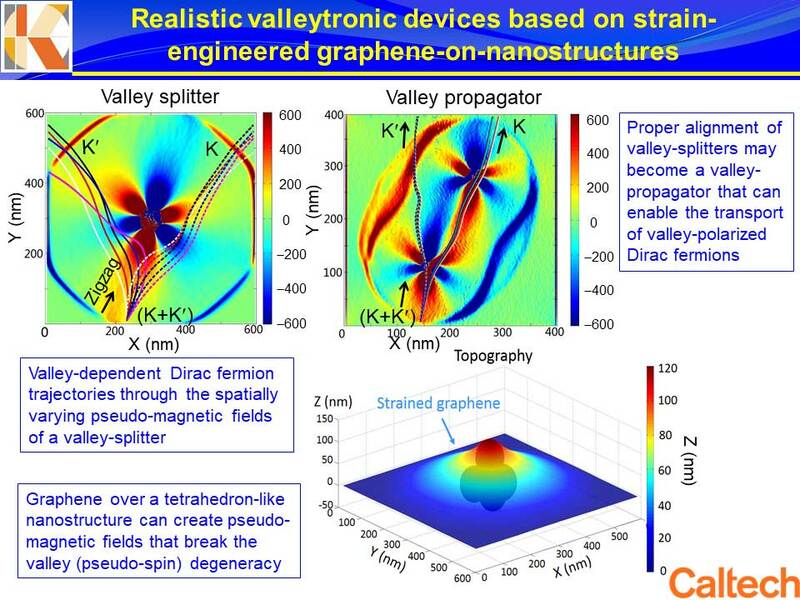 So you can imagine that if you strain the graphene everywhere (this is just a representation), then you can split the valley and see different effects. 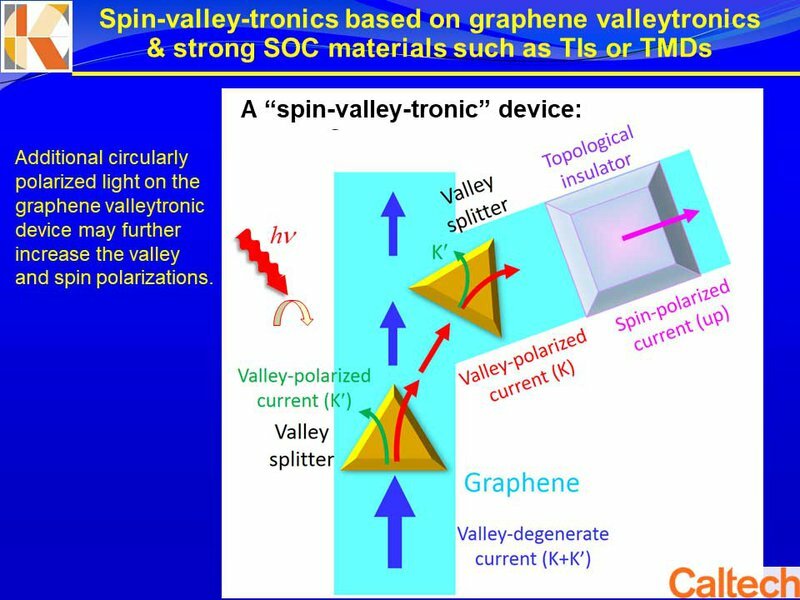 You can even imagine, if you can split the valley and send the valley polarized current into something with strong spin-orbit coupling, then you could start having spin-polarized current. You can play with different degrees of freedom to create new effects. You can even shine circularly polarized light to select one valley that is more favorable over the other. The other thing I want to talk about is novel surface and interface properties related to topological materials. Before I start, I’d like to remind you all that Einstein once suggested that the fundamental laws of physics should be expressed in terms of geometry. He exemplified this with an idea from the ancient Greeks in which he could formulate gravity within the geometrical curvature of space and time. These days, I would say physicists try to look beyond just space and time — and instead, try to apply Einstein’s ideas to topological materials and topological field theory. For instance, you can make a topological insulator and, on top of that, you can put a magnetic layer. If you then put a point charge there, it will induce a magnetic monopole. This becomes something called a dyon, which is something people are always looking for in high energy physics — which is funny because condensed matter physicists actually found them! Or you can have boundaries between superconductors and magnetic materials, and then you can create Majorana state modes, which are related to fermions but in which the antiparticles are their own particles. These are different possibilities, different Hamiltonians, where you start building in these interfaces. The point is, with interesting interfaces of novel materials, you can start creating new physical states and new concepts. Prof. Wang will talk about this later, so I will just show you the picture that illustrates how if you play with dimensionality interfaces of materials, you see edge space, which can create novel properties. 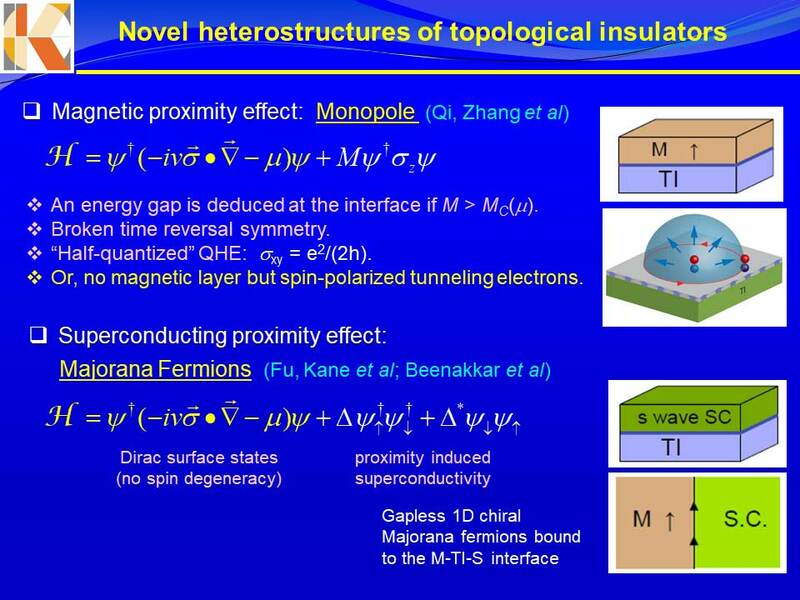 You put magnetic materials on top of topological insulators, which gives you a bulk insulator. 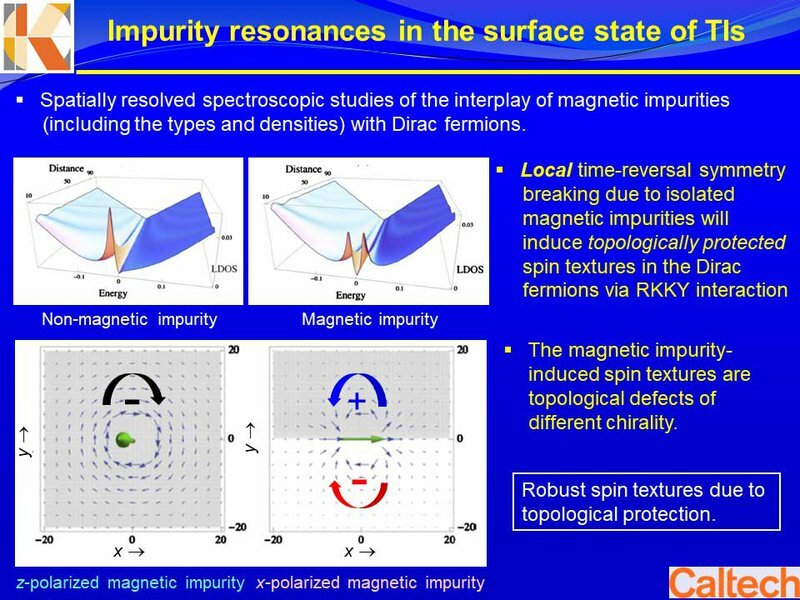 The surface state is a conductor with spin polarization. Originally, it’s gapless, but if you apply a net magnetization, a gap can open up. And we have done experiments to look at those things. Also, on these surface states of topological materials, if you put magnetic spins there, you will create different spin textures. So if the spin is out-of-plane, it’s an isolated spin and would have a strong resonance as a single peak. If you have one parallel spin in-plane, you could have topological spin textures. We have actually found these experimentally, using STM. They are right on top of the topological materials, on the surface of the bilayer system. Moreover, we did some spectroscopy and discovered that although this is a gapless situation, if you turn on the magnetization, it becomes gapped. This is a cartoon. I don’t have time to show you data. But then, the interesting thing is that around these edges of materials with magnetism and without magnetism in gapless and gapped regions, we find very sharp and spatially localized conductance peaks. 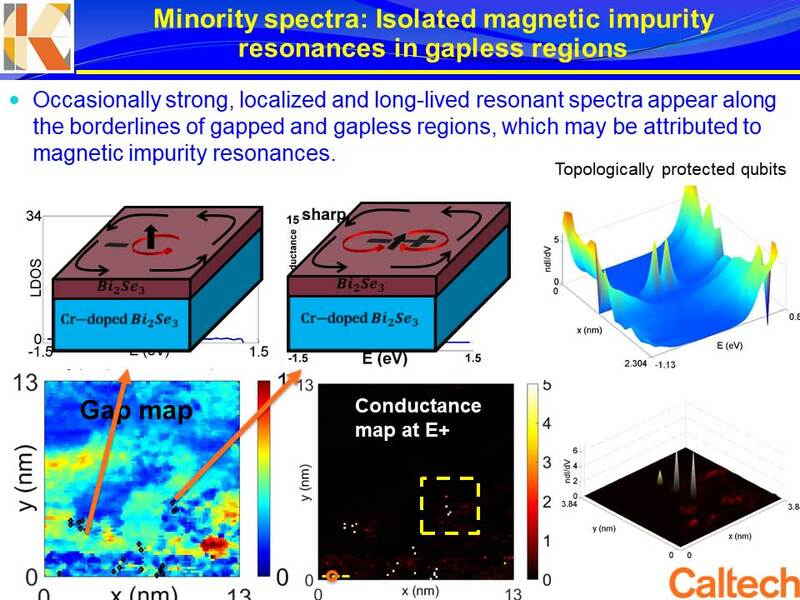 Above is an STM image of the gap map — gap means it’s magnetic, out-of-plane, and then gapless means that magnetization can be in-plane or without magnetization. Near the edges, we find sharp resonances — sometimes it’s a double resonance, sometimes a single resonance. Why are they there? Well, they’re related to the different edge states. The edge state is actually very different resonant magnetic impurity resonance states. This is a very interesting situation. It’s extremely sharp, long lived, looking like a qubit (i.e., a quantum bit). I call it a “topological bit.” It survives over merely a few angstroms spatially, extremely sharp and long lived. We saw this and immediately thought it might be something we could manipulate. In principle, we can manipulate them almost as if they really are qubits, although whether or not that’s true has yet to be examined. But you can shine circularly polarized light and, by coupling the light of a specific circular polarization with those different spin textures, you can favor one peak over the other. Here, you have two equal peaks, but you don’t have circular polarized light. We are pretty sure that if you have circularly polarized light, you can actually select one peak over the other. There are many interesting games we can play using that idea. For instance, we can gate a system to cause entanglement among different qubits that are spatially separated. Superconductivity. This is just to show you that people have been looking for higher TC, and the record highest TC, 165 K, has not been broken. 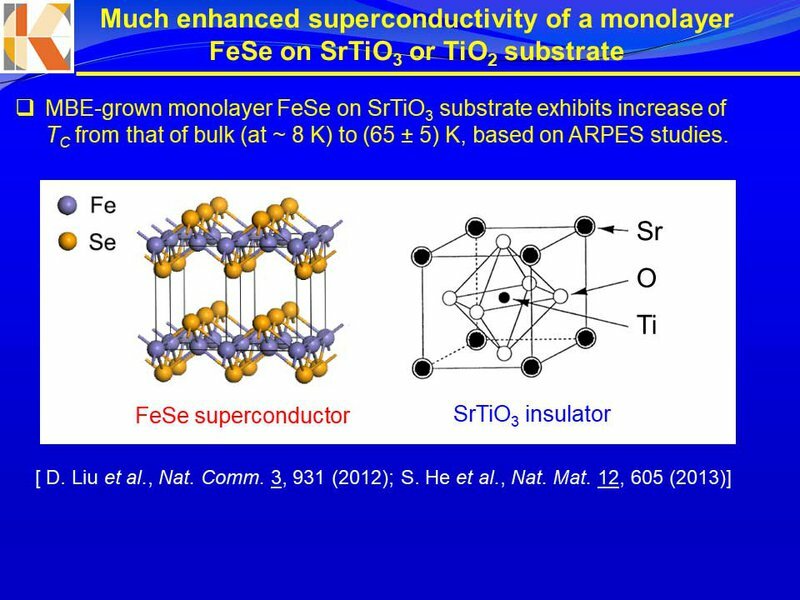 But then a new class of iron-based materials was discovered in 2008, and that’s also a high TC material. Now, let’s talk about Cuprate superconductors as compared to iron-based superconductors. While they’re both high TC materials, they do have a lot of differences. But one thing they have in common is that they have very strange pairing symmetry. They have unconventional pairing symmetry. 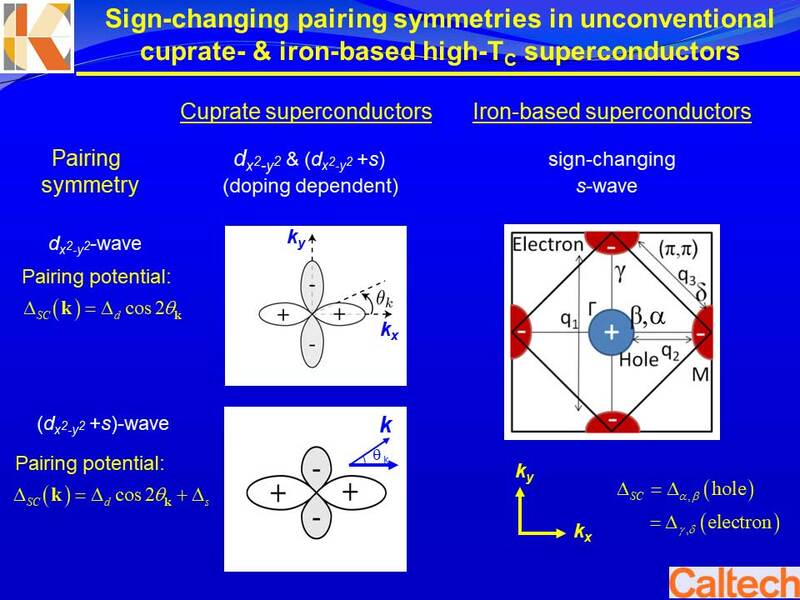 Cuprate superconductors have d-wave pairing symmetry that exhibits sign-changing pairing potential. In the case of iron-based superconductors, there’s a sign change in the pairing symmetry, but in this case it is a sign-changing s-wave. That is, you have electron and hole pockets with pairing potentials of opposite signs. Why is it important? Because if you look at this universal gap (D) equation for superconductors — look at the energy gap (D) as a function of momentum (k,q), and you have the sum over some interaction matrix elements (Vk,q). The quasiparticle energy Eq is always positive definite, but for this gap, if you change the sign on the two sides of the gap equation, something unusual happens. 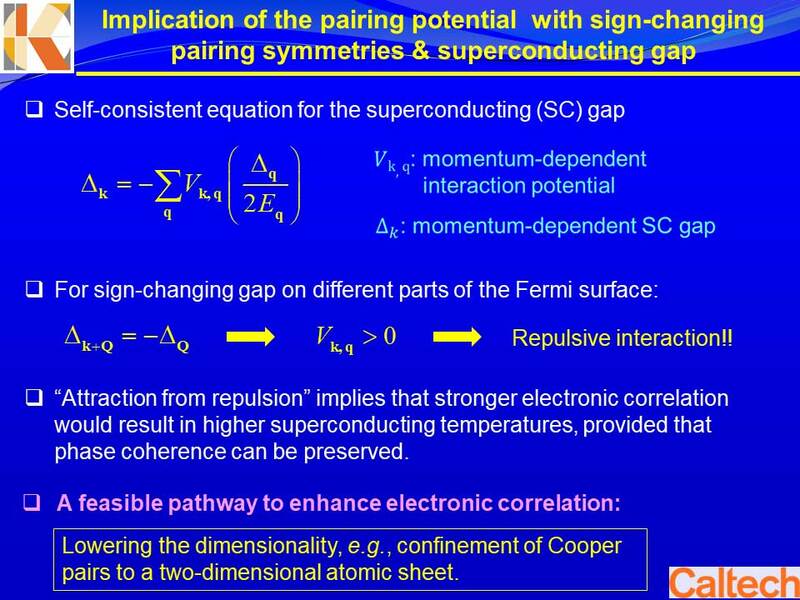 Traditionally, if you keep the same sign for the gap on both sides of the gap equation as in conventional superconductors, you must have a negative potential Vk,q in order to satisfy the equation. That means your interaction potential to glue electrons together must be negative — in other words, attractive. However, if you change the sign on the two sides of the gap equation, you have a positive interaction potential. Therefore, in your high TC systems, you have a repulsive interaction potential for Cooper pairs, which implies “attraction from repulsion”. That’s a very novel thing. Okay, but if that’s the case, we want to enhance the repulsive energy. That means we must enhance the correlation — and that enhancement of the correlation should lead to a higher TC! How do you do that? 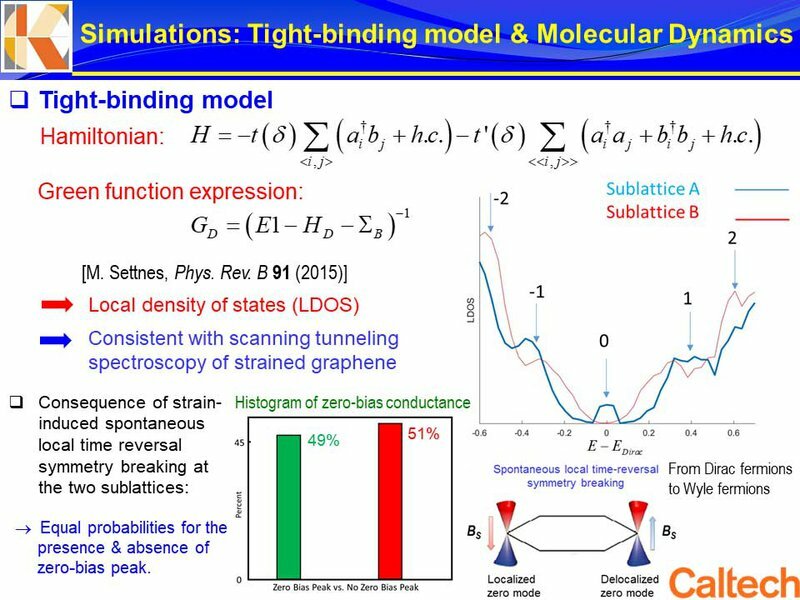 It’s very hard because strong electronic correlation often breaks symmetries and gives you a bad (incoherent) state where you cannot have superconductivity. But if you have found something that has this kind of behavior (i.e., attraction from repulsion), you can try to confine the electrons to a lower dimension — for instance, force them to only one atomic layer and see what happens — because then, the electrons have nowhere to go. They have to interact! The correlation has to increase. This is the final topic. Recently, these iron-based superconductors have been found to have maximum TC up to 55 degree Kelvin, in bulk. But this particular material, iron selenide, was different. This research was done by a Tsinghua University group, by Professor Qi-Kun Xue’s group. 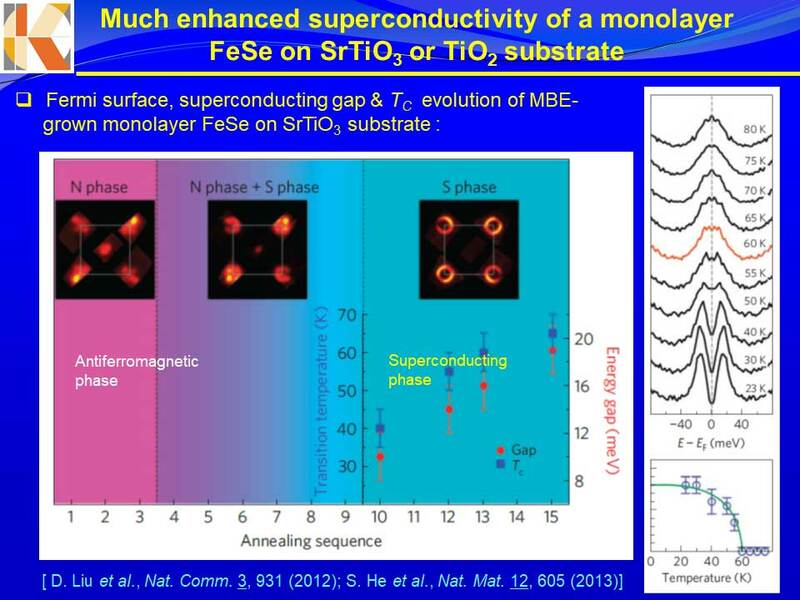 These materials have these trilayer structures in one unit cell, which may be considered as a monolayer of FeSe. But if you put just one set of such a layer on top of an insulator, the TC went up by almost one order of magnitude. 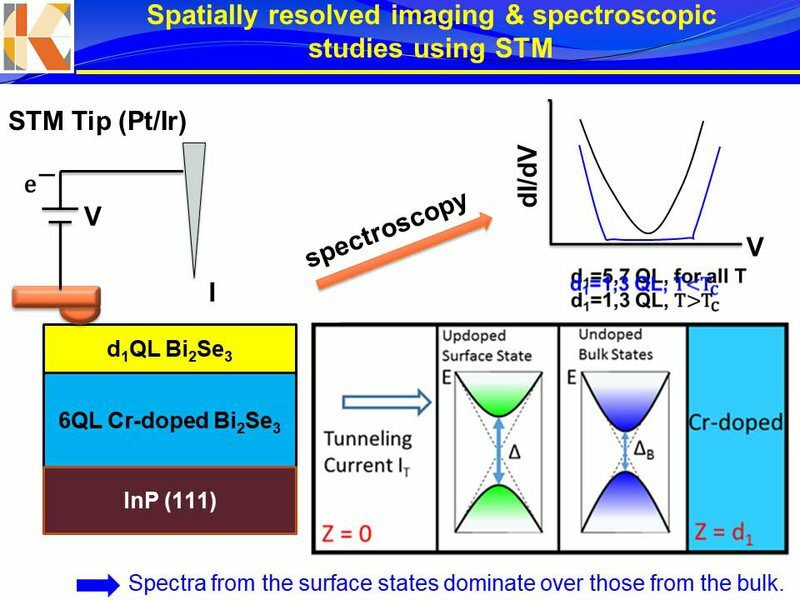 And this is the evidence of TC from angle resolved photo emissions spectroscopy. Sorry that I don’t have time to explain it, but you see the TC determined showed almost 60 to 70 degrees Kelvin. And it was an 8 degree Kelvin material in the bulk! This has been just a brief discussion of how we can play with quantum degrees of freedom. 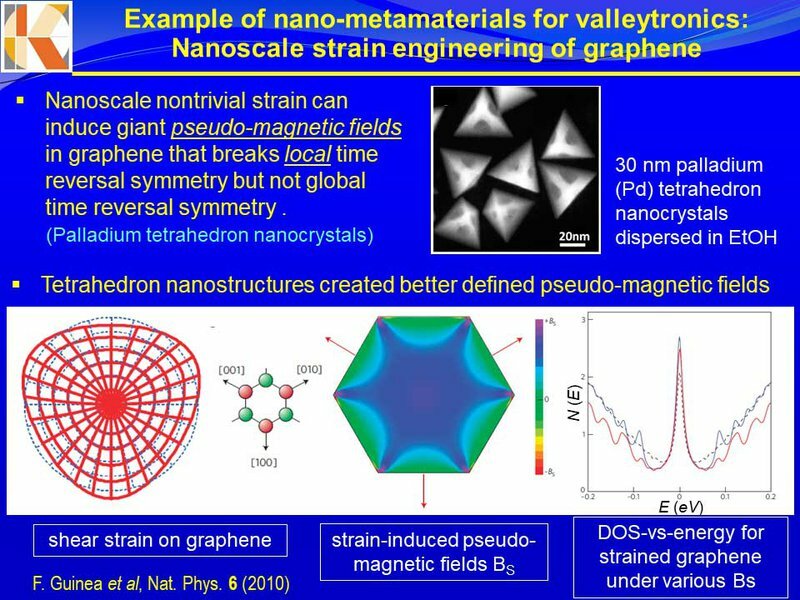 The point I want to convey is that there are exciting developments both in physics and in potential technology which are emerging from these edge states of novel materials and nano-metamaterials. This science is creating new capabilities for nanoelectronics. Simply start using your imagination! 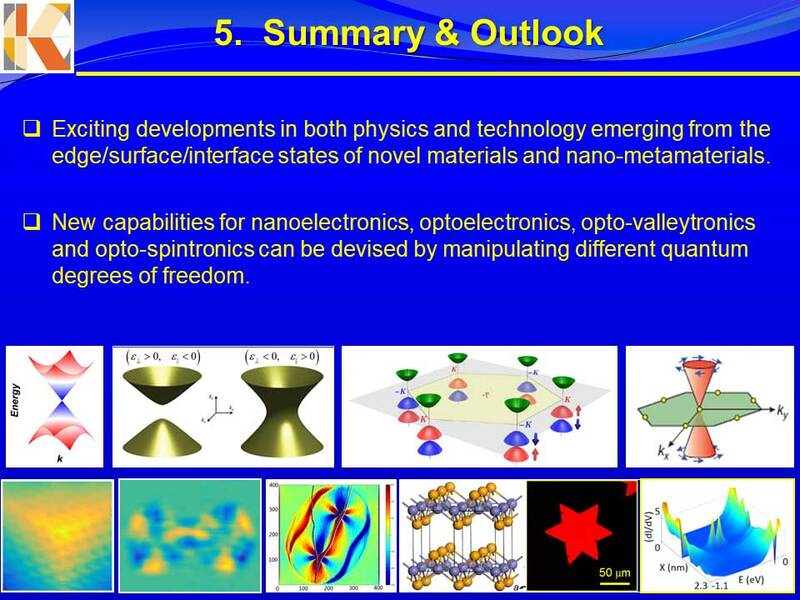 Optoelectronics, optovalleytronics, optospintronics — all coming out of these different degrees of freedom that you can manipulate in these interesting low dimensional materials and nanostructures. One more picture of Millie.